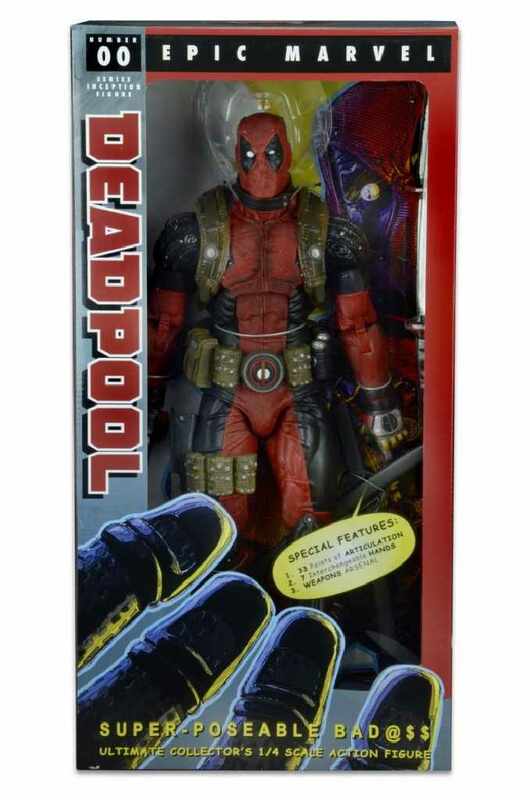 Here's another addition to NECA's line of quarter scale action figures and it's none other than Marvel's Merc with the Mouth, Deadpool! 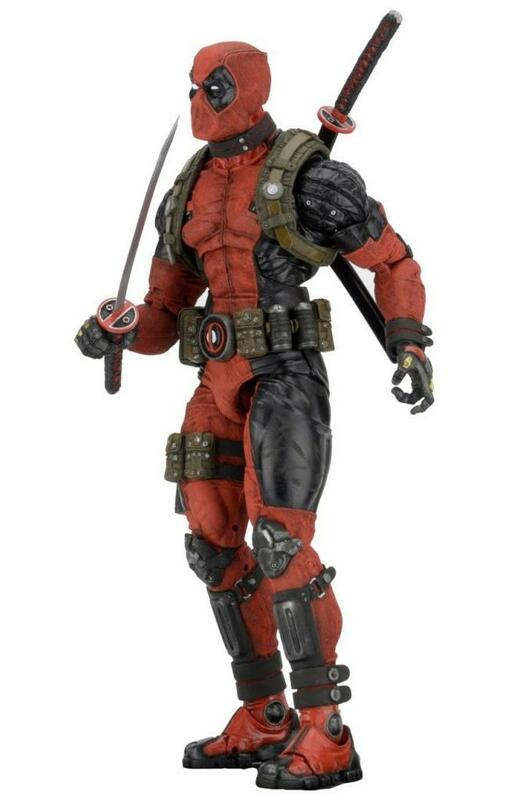 NECA has done it again with another addition to their line of quarter scale action figures and it's none other than Marvel's Merc with the Mouth, Deadpool! 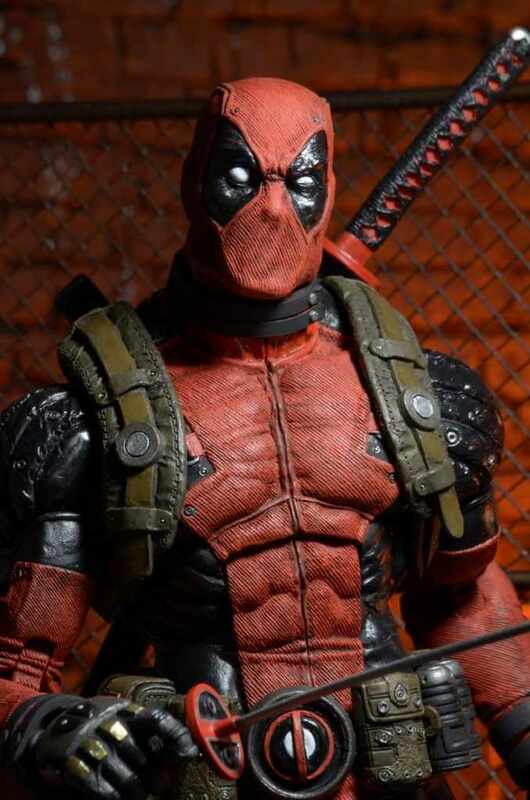 Deadpool is possibly one of the most skilled mercenaries in the world and definitely the most annoying due to being the joke-cracking, reference-making, fourth-wallbreaking, taco-eating funnyman of the cold blooded killer set. 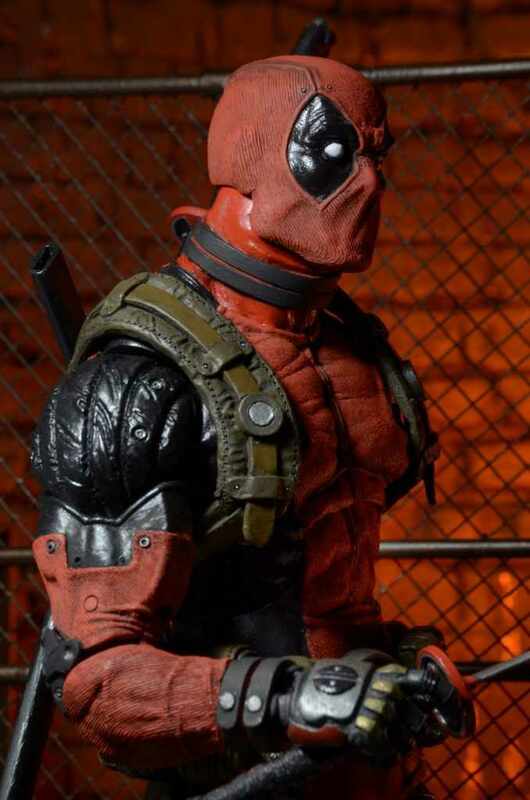 Deadpool has long skirted the line between hero and villain, between maniac and genius and between ugly and smelly. 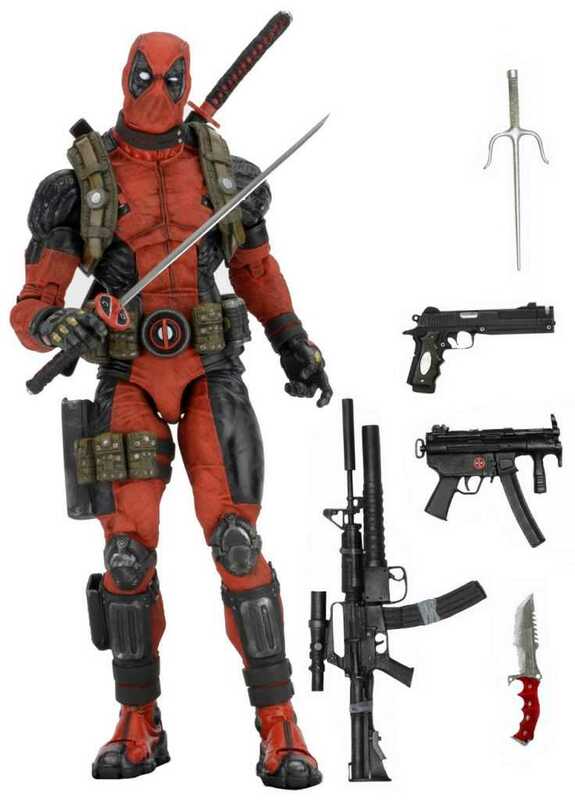 This large and incredibly detailed 18" action figure has over 30 points of articulation for great action poses and comes complete with katanas, sai, machine guns, pistol and knife accessories, all with working holsters and sheaths, plus 7 interchangeable hands. A superb collectors item for any fan!